The story even reached Rome, and the bishop of Scranton was instructed in 1986 to investigate. Monsignor John Esseff, a priest and exorcist of the Roman Catholic Diocese of Scranton, was sent. In a previous interview I had with Esseff on exorcism, he had mentioned the case to me. “Everyone thought the house was possessed, but it wasn’t,” he said. Instead of an exorcism, Esseff brought several Catholic sisters with him and prayed for the two former owners. He obtained their names from the deed to the house. The Smurls, who Esseff described as “fine people,” were Catholic, and joined in the prayers. “We did an enthronement of the Sacred Heart of Jesus and said a Mass,” he said. The sisters were in purgatory, according to Esseff. “Souls in purgatory are in terrible torment but can remain attached to the things that they were attached to during their lives,” he said. Fr. Gary Thomas is a parish priest and exorcist working in California. The Rite a book which was later made into a movie, chronicled his training as an exorcist. An important part of his job, according to him, is discernment as to what is causing a perceived spiritual disturbance. . “I have a prayer team I call it a discernment team and a prayer team.” He said. “Often times problems are found to stem from natural causes such as mental illness so they need to be screen carefully.” He pointed out that in some cases, there is nothing demonic, but a soul who has died could be in some way causing spiritual activity. “In some cases, there are souls that have died and still on earth that are afraid to go to the light,” he said. “They fear the judgment of God, and I will tell them to go to the light and trust in God’s mercy.’’ Purgatory, he said, is a place of God’s mercy. 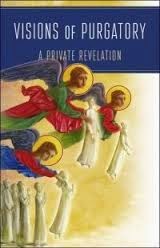 In the newly released book Visions of Purgatory: A Private Revelation translated from the original French version that was published in 1996, a vivid revelation of purgatory is given. The author, under spiritual direction of a priest, remains anonymous, seeking only to fulfill the mission to encourage the faithful to pray for the poor souls in purgatory who are so often forgotten. 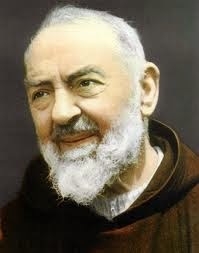 He was told that there is no sin in purgatory, but only the remains which need to be purified. Each soul has it’s own particular experiences but the greatest punishment is to be deprived of the beauty and holiness of God. 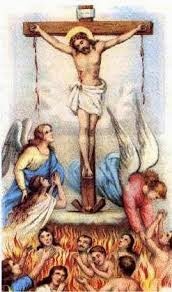 The angel pleaded for prayers and penance for the souls in purgatory and warned people to avoid it at all cost. “Pray, do penance, sanctify yourself in silence and in the fulfillment of the duties of your state, and offer everything for the holy souls…. Really, you don't know what purgatory is like; if you knew, you would work very seriously for your eternal salvation, and you would try with your prayers to obtain the freedom of these souls who are suffering so much.